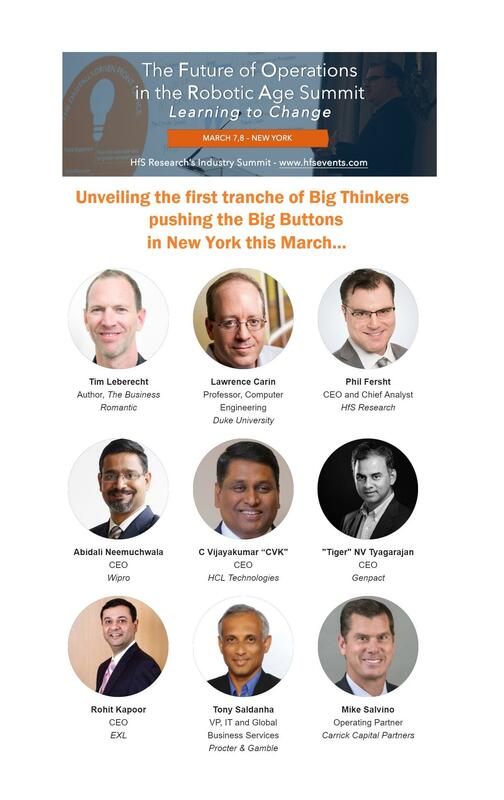 Tim Leberecht will speak at the HfS Research FORA Summit in New York on March 8. Tim will be speaking at The Future of Operations in the Robotic Age (FORA) Summit, an event presented by HfS Research, March 7-8, 2018, in New York City. The FORA Summit brings together the HfS team and their diverse community for a dynamic event that will challenge the way you think and work. FORA is all about collaboration and exchange in enabling your digital organization to move forward. Areas of focus include: Making Design Thinking, Intelligent Automation and digitization work for you; How the C-Suite views the future of the service industry; How we can get ahead of disruption to be successful as professionals; and Achieving an Outcome-centric Outsourcing Strategy. Other speakers include: Abid Ali Neemuchwala from Wipro, Tony Saldanha from Procter & Gamble, and Mike Salvino Carrick from Capital Partners, among others. To learn more about the event, visit the HfS site.